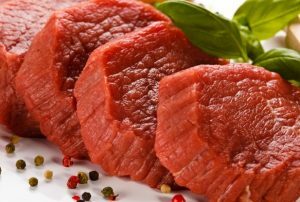 No, meat is not unsafe—nor is L-carnitine. A recent study published in the journal Nature Medicine associates the amino acid L-carnitine, found in red meat, supplements, and sports supplements, with the risk of heart disease. Here are some examples of what the media said about it: The Daily Mail (UK): “Red meat nutrient used in weight-loss and muscle-building supplements could cause heart disease”! The Dallas News: “Put down that steak! (and energy drinks, too); the carnitine in these foods may increase risk of cardiovascular disease”! this compound increases risk of heart disease. The study further states that vegetarians and vegans have different gut bacteria, which do not produce a burst of TMAO after consuming L-carnitine. There is a lot to find fault with in this study. First, there’s the question of the study participants. Most of the study was done on mice, though there was a human component—a tiny sample of only six people, five meat-eaters and one vegan. That’s right, their conclusion that vegetarians and vegans have different gut bacteria that don’t produce a burst of TMAO after consuming L-carnitine was based on just one individual. We also don’t know how healthy the five meat-eaters were in this study. The study found that the red meat eaters did not produce TMAO after a course of antibiotics. This suggests that these subjects’ immune systems were already damaged—not that all meat eaters’ are. At the same time, it is still unclear whether TMAO production is caused by eating red meat at all (this was just an assumption), and whether raised TMAO levels actually cause heart disease. Second, the idea that L-carnitine causes heart disease conflicts with other, better evidence. A large and recent meta-analysis, published in the journal Mayo Clinic Proceedings, suggests that L-carnitine is helpful for heart disease, not a cause. This meta-analysis specifically tested L-carnitine on hard outcomes in humans who had already experienced acute myocardial infarction, and found that L-carnitine was associated with significant reduction in death from all causes and a highly significant reduction in ventricular arrhythmias and anginal attacks following a heart attack, compared with placebo or control. In other words, L-carnitine, far from being harmful to the heart, actually heals it! None of the media reports we saw bothered to mention any of the positive effects of L-carnitine—even those mentioned in the study itself. Its essential function is to transport fatty acids into our mitochondria, which may be why it is so beneficial to heart patients. It also helps with kidney disease and male infertility, reduces fat mass, increases muscle mass, and reduces fatigue. In elderly patients, it also helps energy metabolism and improves neurotransmitter function in the brain. And if L-carnitine is actually good for us, what about meat? That’s still controversial. But other studies don’t support the conclusion that it harms us. An extremely large meta-analysis published by Circulation (over 1.2 million participants) found that fresh and unprocessed red meat consumption was not associated with increased heart disease risk, stroke, or diabetes. In addition, this one, much-hyped study makes no differentiation between different types or sources of meat. As we have discussed frequently in the past, industrialized factory farm meat is very different from organic, local, grass-fed meat in its nutrient composition. Meat from CAFOs—that is, confined animal feeding operations—contains twenty times the amount of omega-6 fatty acids (which are associated with inflammation, arthritis, and cancer) than healthier omega-3 fatty acids, have much more fat marbling, and may be full of antibiotics. Grass-fed beef has nearly seven times more omega-3s than omega-6s, so eaten in moderation, it offers healthier levels of essential fats. Moreover, grass-fed beef is lower in total fat, and higher in vitamin E complex, beta-carotene, thiamin, riboflavin, calcium, magnesium, potassium, and CLA—and these differences may have a tremendous impact on both the types of bacteria in the gut and the levels of TMAO produced. But of course, we won’t know about that, because this was never even thought about in the study. What none of these overhyped media reports—not to mention the study itself— take into account is the reality of bioindividuality. No one diet, and no one selection of supplements, should be advocated for everyone. Only a balanced diet tailored to each individual body’s personal needs will ensure one’s health in the long run.